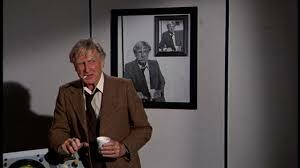 There's a wonderful recurring segment from the movie, Airplane, where Lloyd Bridges, as a harried flight controller, repeatedly says he "picked the wrong week to quit..." You fill in the blanks. Here's the YouTube video of those segments. I thought of this when I began to consider the changes in publishing that have taken place in the decade or more since I got into this activity. At that time, perhaps due to my inexperience and lack of familiarity, the roles in publishing seemed clear-cut to me. But that has changed. I see writers speaking, agents becoming teachers, authors becoming editors, and in general everyone playing "fruit-basket-turnover" as people scramble to be compensated for their efforts. I'm retired, but it's nice to be paid for my writing efforts, and I think others who work in the publishing industry deserve this financial recognition as well. But it seems that idea is becoming passe. It's probably an instance of "the good old days" not being really as good as we remember them, but what ever happened to the times we've heard about-- times when a writer could devote his/her time to writing the best book possible? Now, writers spend at least half their time (or part of their income, if they hire someone to do it for them) in marketing books. And it seems that unless you attach a bargain price to your work product, people aren't interested. I don't know what the answer is, but there are days when I find myself thinking, "I picked the wrong time to get into the publishing industry." What do you think? Tweet with a single click. "Changes are going on in publishing. Have you noticed?" I don't really feel qualified to opine, but I reckon what an author wants out of his or her writing is the key? An income or a hobby that pays for itself or a means to be the popular guy at parties? Every writer, whether he/she admits it or not, wants different things from writing...and they change as the individual progress as a writer. That's part of the problem. Thanks for your comment (and your opinion is welcome). It's a tough time for everyone trying to make a living using their creative talents--writers, musicians, artists. Because of technological advances, anyone and everyone (all ages, all levels, all countries, even hackers and fakes) can throw their contributions in the same pool--and do. The creative markets are completely flooded and consumers are so overloaded and bombarded that it's difficult for a creative person to even get noticed, and it's almost impossible to make a living on art alone. Lora, you're right, of course. Since I've been primarily associated with writing (my singing days are over), I'm noticing those changes in that area, but I agree with you. It's almost impossible to make a living on art alone. This will be especially bad news for those people who think all they need is one big break--writers, singers, instrumentalists, actors, whoever. Great way to start a weekend, but it's true. Thanks for your comment. I agree with what everyone says. I'm at SIBA (Southern Independent Booksellers Alliance) this weekend networking with independent booksellers who want me to come and do a book signing. It's heartwarming to be wanted, BUT like you said, Richard, it takes away time from writing. Time I don't have. lol One thing, though, everyone here seems optimistic about book sales instead of the gloom and doom I hear in some places. Patricia, I'm glad that various independent booksellers want you to come do book signings, but a part of me recalls the book signings I did in the past, most of which either didn't go over well or were successful because I put out a lot of effort. As one of my radiology professors had over his desk, TANSTAFL--there ain't no such thing as free lunch. It's now become ROI--return on investment (of time, money, etc). Thanks for your comment. Writing: "The Road Not Taken"